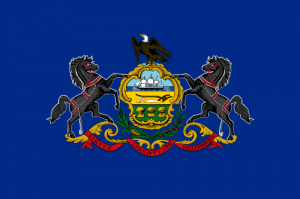 Pray for all the resources and creativity needed to fulfill the intentions of God in the state of Pennsylvania. 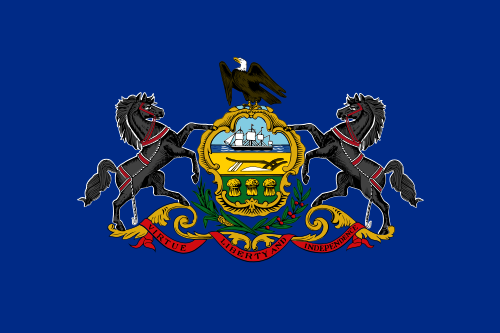 State Information: Although Swedes and Dutch were the first European settlers, William Penn, a Quaker, named Pennsylvania in honor of his father by combining the name Penn and the Latin term sylvania, which translates as “woodlands,” to come up with “Penn’s woodlands.” Known as the “Keystone State,” Pennsylvania is one of the original 13 colonies (it entered the Union in 1787). Today, two major cities dominate the state–Philadelphia, home of the Liberty Bell, Constitution Hall, and a thriving metropolitan area, and Pittsburgh, a busy inland river port. The Amish, a group of people who live without the use of modern technology, live in the countryside of Pennsylvania. The capital is Harrisburg and the state bird is the ruffed grouse.